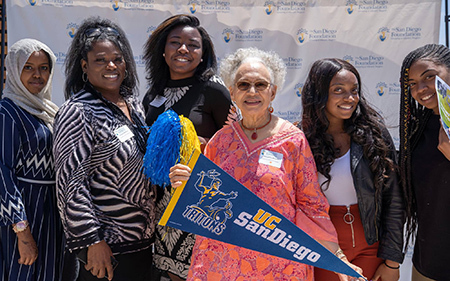 2017 Black Alumni Scholars visit the UC San Diego Career Services Center to discover experiential learning opportunities like internships, study abroad and working in a faculty laboratory. Jacqueline Reliford and Manuelita Brown, third and fourth from left. 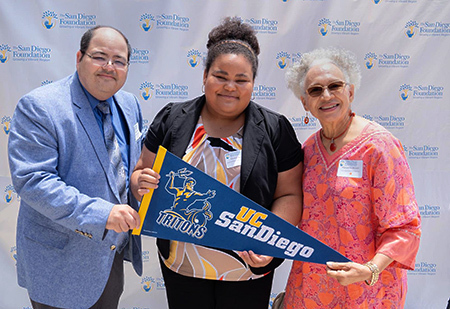 Sasami Scott and Manuelita Brown, on right.